Kinases and phosphatases are important players in growth signaling and are involved in cancer development. For development of targeted cancer therapy, attention is given to kinases rather than phosphatases inhibitors. Src homology region 2 domain-containing protein tyrosine phosphatase2 (SHP2) is overexpressed in different types of cancers. We investigated the SHP2-inhibitory effects of two new 5-aminosalicylate–4-thiazolinones in human cervical (HeLa) and breast (MCF-7 & MDA-MB-231) cancer cells. In-silico molecular docking showed preferential affinity of the two compounds towards the catalytic over the allosteric site of SHP2. An enzymatic assay confirmed the docking results whereby 0.01 μM of both compounds reduced SHP2 activity to 50%. On cellular level, the two compounds significantly reduced the expression of SHP2, KRAS, p-ERK and p-STAT3 in HeLa but not in the other two cell lines. Phosphorylation of AKT and JNK was enhanced in HeLa and MCF7. 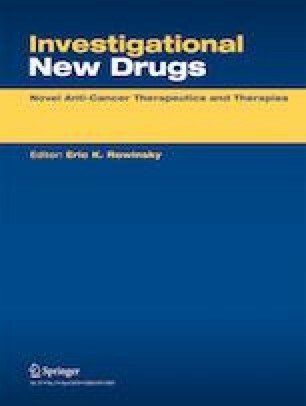 Both compounds exhibited anti-proliferative/anti-migratory effects on HeLa and MCF7 but not in MDA-MB-231 cells. These results indicate that inhibition of SHP2 and its downstream pathways by the two compounds might be a promising strategy for cancer therapy in some but not all cancer types.